When you're craving a burrito, what makes your mouth water? What do you usually ask for when you're in line for pseudo-Mexican food? If you're anything like the rest of the United States, chances are you want meat, cheese, sour cream, and guacamole, and probably a side of chips. But even if they do make catering platters, Chipotle isn't about to cater to your needs — actually, Chipotle employees are trained to be stingy with their most popular ingredients. According to The Wall Street Journal, the people in charge at the Mexican chain favorite train employees not to give customers full portions of a set of key ingredients called the "critical seven." What's on the list? Only the most critical ingredients to any good burrito: any meat, including steak, carnitas pork, chicken, and a braised beef called barbacoa, as well as cheese, guacamole, and sour cream. Why restrict customer favorites? You may have already guessed it: these foods are the most expensive to come by. Steak and barbacoa burritos cost the company $1 more to make than those with chicken or without any meat at all, and global droughts have led to a beef shortage — which is why you won't get a full portion of meat at your local Chipotle without an extra charge. How much meat do you get in a Chipotle burrito? According to The Wall Street Journal, employees are trained to give customers four ounces each of meat and rice, two ounces of salsa, and one ounce of cheese or lettuce. And if you get a steak or barbacoa burrito, in some places, you're paying some of that extra dollar it costs Chipotle to make it: in New York City, 69 cents of it. But if you want a bigger burrito, you're going to be paying even more. Clearly, this practice is tragic for meat lovers everywhere who just love the taste of carnitas and guacamole on a tough day. But there are other downsides to Chipotle's policy besides just a loss of taste. Here are four of the top reasons why we need those critical seven ingredients. Everyone knows avocados are a great source of healthy fats, which is great for smoothing your skin and lowering your cholesterol. It's true that avocado prices are high, what with the possible upcoming avocado shortage, but come on — it's a matter of health! Rocker Jack White and band(wagon) mate President Obama are well-known lovers of guacamole. Obama even chose guac as his preferred Superbowl snack. And even though Jack White has denied being choosy about his avocados, we're sure he's just as much of a fan as our president is. These are our public figures. These people are the cornerstones of America, and they need guacamole. Listen — a classic barbacoa burrito with fixins contains a whopping 53 grams of protein, which beats out any supposedly protein-rich granola bar any day, in taste (obviously) and in nutrition. You need that meat to build your body's muscles and enhance your mood. 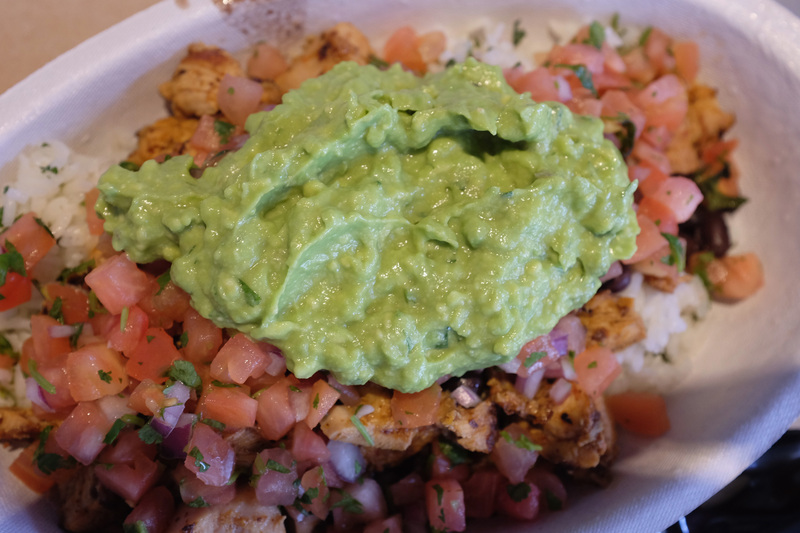 It may be true that most Chipotle meals contain upwards of 1,000 calories, but that doesn't mean they're unhealthy. More guacamole and meat means more fiber, protein, and other nutrients. Plus, you need food to live, and calories are not the devil. So bring it on!